Fairleigh Dickinson’s newest campus opened its doors in the fall of 2007 in downtown Vancouver, British Columbia, Canada. 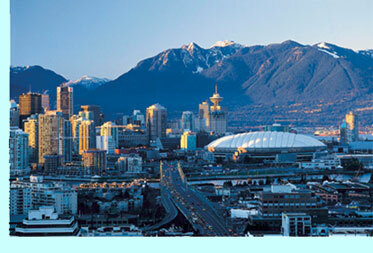 Serving primarily international students, FDU-Vancouver offers a rare opportunity to earn a degree from an American university while studying in Canada. The campus offers undergraduate degree programs in business administration (with concentrations in entrepreneurship, finance, information technology, international business and marketing) and information technology (with a minor in business administration). The campus also offers a pre-university program that provides advanced English-language training for students who meet admissions requirements but require additional training in English before matriculating in a degree program. FDU-Vancouver also hosts summer study-abroad programs for students from the University’s campuses in New Jersey. Degree programs follow the same curricula provided in New Jersey. The campus has met the guidelines of the British Columbia Ministry of Advanced Education and has been accredited by FDU’s regional accrediting body, the Middle States Commission on Higher Education, whose officials described the new effort as a model international branch campus. The campus features faculty and staff from around the world who speak a total of 33 languages. And, students studying at FDU-Vancouver hail from 27 countries and five continents. For more information on FDU-Vancouver, visit www.fdu.edu/vancouver. Wroxton College | Academics | Online Learning | FDU and the U.N.